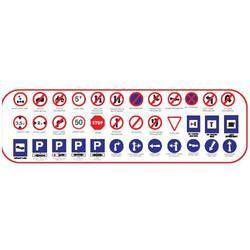 Offering you a complete choice of products which include roar caution signs, fire signage, mandatory facility road signage, combination road signage, markers road signage and direction road signage. Roar Caution Signs offered by us provide support as a traffic warning sign and indicates specific road condition/driving instructions or a hazard ahead. 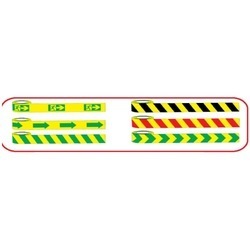 Made available by us in a variety of size choices from small to large, these caution Signs can be offered in different construction material choices as per the specifications provided or its end usage environment. Further, our expertise also lies in custom developing these warning signs. Some advantages of these signs include available in different color choices, durable construction finish which makes these last long and others. 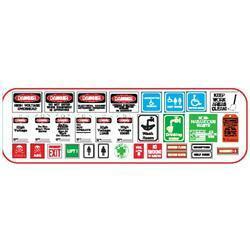 We hold expertise in offering a wide range of Fire Signage options to choose from. 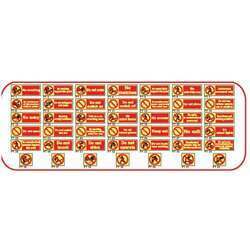 Providing suitable warning to the workers, these signs can be made available in different forms including showing warning/escape route in event of fire, help in identifying fire equipment and others. 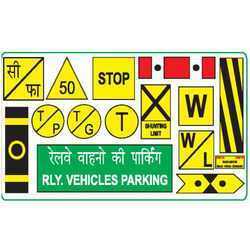 Here, our expertise lies in making available signage solutions n standard finish as well as in options of glow-in-the-dark signs that indicate location of firefighting equipment even in poor visibility conditions. Apart from this, we also offer photo luminescent signs for identification of equipment in emergencies and normal white fire exit sign choices. 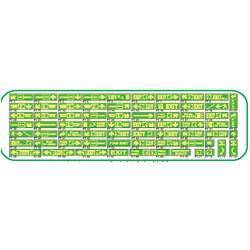 Our expertise also lies in custom developing these as per the specifications provided by the customers. Providing required warning/information to the motorists, these Mandatory Facility Road Signage choices are part of traffic signs for road users including pedestrians. 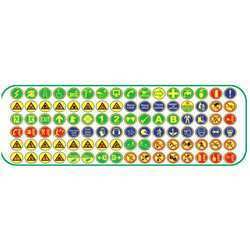 With options of offering different traffic sign choices, these provide advance information of road conditions as well as offer warning to drivers to look out for. Further, these signs also educate road users of road laws and regulations that need to be followed while on the road. 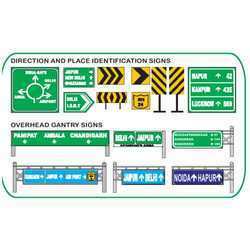 Our expertise lies in offering the road signage under different categories like mandatory signs, cautionary signs, informatory signs. Available in bright normal/florescent finish in different sizes, shapes and material choices, we ensure the solutions offered are long-lasting in usage. 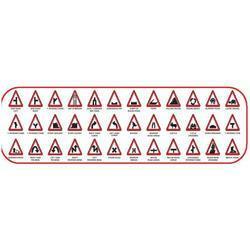 Providing vital support in regulating traffic as well as in warning the road users of the laws need to be followed at particular road sections, these Combination Road Signage choices are informative in usage and ensure safe and smooth movement of traffic. With our expertise lying in offering these in different construction material choices, sizes and shapes, our team ensures these provide for safe movement of traffic. Apart from visual depiction of road conditions, these can also contain specific instructions need to be obeyed while on the road. The signage is also used for offering information of routes or information on destinations lying ahead. 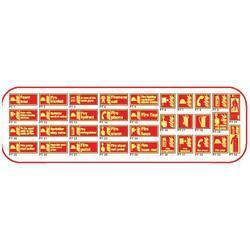 We can also offer custom signage from different templates in multiple sizes as demanded by the customers.